throughout the Art Centers third season. 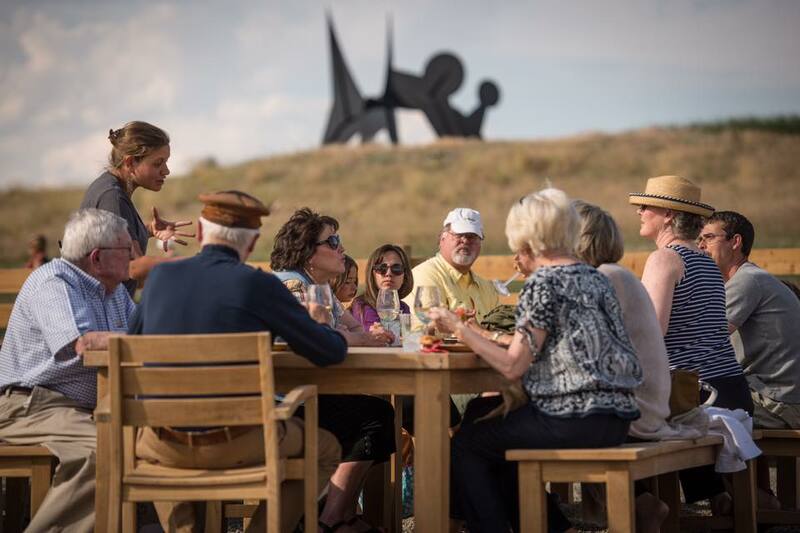 Tippet Rise guests touring the sculpture park or attending a concert can purchase a range of fresh and delicious meals, snacks, beer, wine & non-alcoholic beverages direct from our service counter. Wild Flower "On The Rise" accepts all major credit cards, cash & local checks. We pride ourselves on using fresh, seasonal ingredients & provide compostable/biodegradable disposables made from natural materials for a Montana Picnic feel. Lets keep the Beartooths beautiful and dispose of waste responsibly & sustainably.